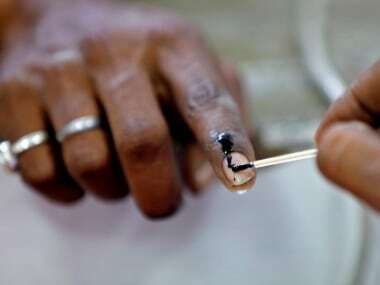 Jaipur: Voting in bypolls for Ajmer and Alwar Lok Sabha constituencies and Mandalgarh Assembly seat in Rajasthan was held peacefully on Monday, recording polling percentages of 65 percent, 62 percent and 80 percent respectively. 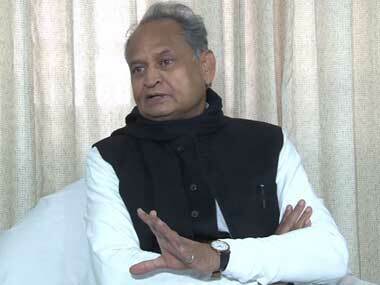 A total of 23 candidates are in the fray in Ajmer, 11 in Alwar, and eight in Mandalgarh. 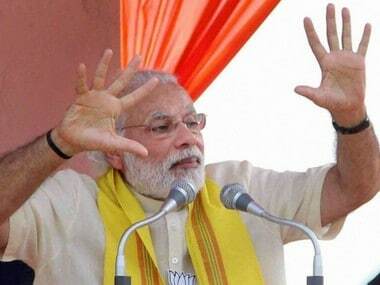 The ruling Bharatiya Janata Party and opposition Congress are involved in a direct fight in Ajmer and Alwar. In Mandalgarh, BJP's Shakti Singh Hada, Congress' Vivek Dhaka and independent Gopal Malviya are in contention. All three seats were held by the BJP when they fell vacant after the death of sitting lawmakers. Ajmer MP Sanwar Lal Jat passed away on 9 August last, while Alwar MP Mahant Chand Nath died on 17 September last year following a prolonged illness. BJP's Mandalgarh MLA Kirti Kumari died of swine flu on 28 August last year. The Election Commission had deputed 12,000 securitymen in three constituencies to ensure free and peaceful elections. Webcasting was organised at 313 polling booths and 476 micro observers were deployed for the bye-elections. A technical error in an Electronic Voting Machine in Kekadi village was reported, due to which voting was stopped for some time. In Keladi's Manda, villagers boycotted polling to protest inadequate water supply. They also rued that their village roads were in bad condition. Dense fog in Alwar resulted in a low turnout in the first hour after the beginning of polling, but voting picked up after 9.30 am. Voting percentage witnessed further increase afternoon in all three constituencies as voters in large numbers came out to votes. The results will be declared on 1 February. According to the Election Commission, 4,194 polling booths were set up in the three constituencies. Around 39 lakh persons were eligible to vote in these elections. 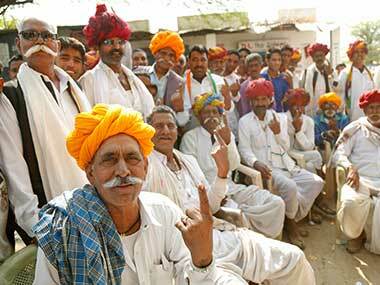 While Alwar has a total of 18.27 lakh voters, Ajmer has 18.43 lakh voters, and Mandalgarh 2.31 lakh voters. For the first time, EVMs with photos of candidates were provided to avoid confusion among voters regarding candidates with similar names. 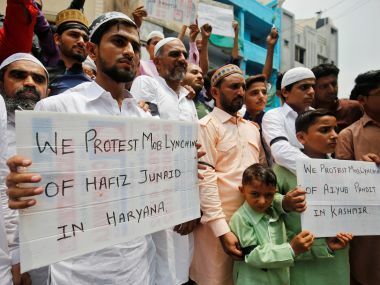 The elections will be a litmus test for the state's BJP government, facing an uphill battle as the Rajput community has openly announced support for the Congress in all three seats. Caste equations are playing a major role in these bypolls. Two Yadav stalwarts are in the fray in Alwar while Jat and Brahmin candidates are in the electoral arena in Ajmer and Mandalgarh respectively. In Ajmer, 6,000 security personnel were deployed to ensure smooth polling, while 5,000 securitymen were sent to Alwar.